This fund was set up by the Riding for the Disabled Association(RDA) in Hong Kong with a bequest to HETI from the estate of the late Mary Selway-Swift. Mary was involved in the field of therapeutic riding over many years – in the United Kingdom and in South-East Asia (specifically in Hong Kong and Singapore). It was Mary’s wish that this fund be used “to promote and improve the educational opportunities, training and quality of riding therapy through the development of therapeutic riding programmes internationally”. She was particularly concerned for those in developing countries, those in poor economic circumstances, or in places which have limited access to training opportunities. Any payments from the fund will be made annually on 7 October on the recommendation of the HETI Executive Committee. Any one grant will not exceed 1,000 Euros. Please contact the HETI Office for information. Members are encouraged to promote the Mary Selway-Swift Development Fund among friends and interested people/businesses. Donations to the fund should be sent to the Office. 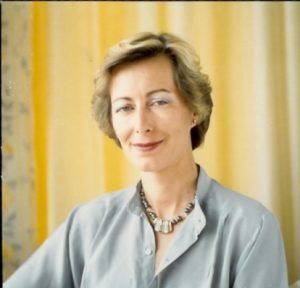 Sister Chiara Hatton-Hall (former Secretary General of HETI, and well known to most people in the field of therapeutic riding) recalls Mary Selway-Swift with affection – her energy and commitment to the establishment of RDA in South East Asia will long be remembered in the region and by all those who knew and cared for her. “I first met Mary in 1985 when she asked me to come to Singapore to help with the Singapore Riding for the Disabled Association and introduced me to the British Executive Service Overseas who funded my visit . On arrival Mary took me to meet the Committee and showed me the Toyota car lent by Borneo Motors which was covered front, back and sides with the picture of a nun in a white habit on a black horse entitled “The Galloping Nun”. I would use this to drive to Bukit Tima Racecourse and to the Polo Club to teach each day! Mary knew how to promote the RDA !! Mary set up the Hong Kong RDA Instructors Examinations at Pokfulam Riding School. She took her RDA Group Instructor’s Examination and passed with flying colours in West Mercia in 1996. Mary sadly died on 7th October 2000. The legacy she left the HETI was for the development of training, sending instructors to those countries who were unable to afford travel and accommodate instructors who were accredited to the HETI. The RDA in Hong Kong set up the Mary Selway-Swift Foundation in her memory after her death.